One of our favorite categories of JCCS is classic trucks. 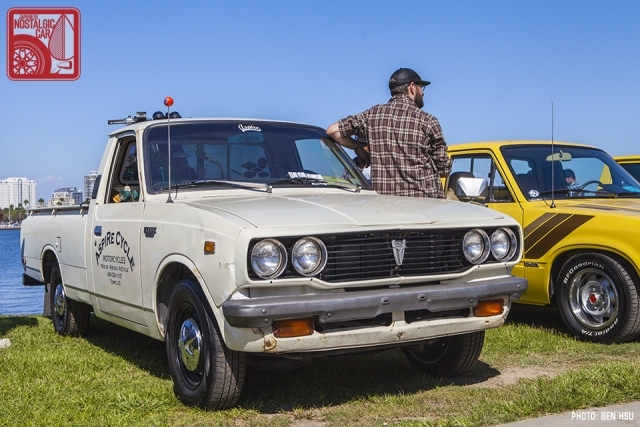 The compact pickup is a lost art, and no one did them quite like Japan. As it turns out, the truck category turned out to be the single most diverse this year in terms of marque, and earned the selection a prime waterside spot. We start with Karlos Rossell’s 1980 Toyota Truck, which looked like it had just rolled out of a showroom five minutes before the show began. Its oh-so-retro brown and gold stripes complement its brilliant shade of 541 yellow. Karlos won second place in the Best Truck category. Also hailing from 1980 was one of the very few Mitsubishis at the show. 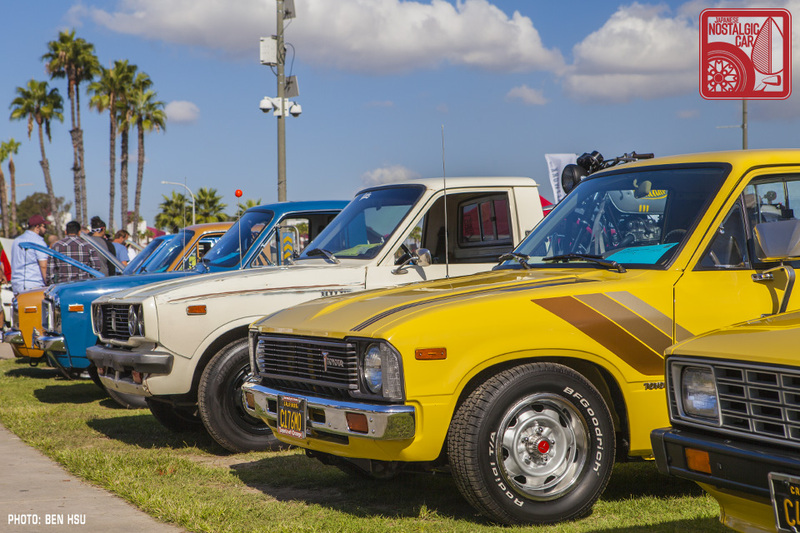 We first met Kirk, the owner of the Plymouth Arrow Truck, at Mitsubishi Owners Day over the summer and we’re glad he decided to show the car at JCCS as well. It paired perfectly with its fellow yellow and stripe decaled counterpart from Aichi. The former Kidney Car was purchased in Massachusetts, where it survived brutal salt winters by having only 19,000 miles on the clock. Another fitting pair were Jason Cummins and Jose Tarin’s 1971 Datsun 521s. 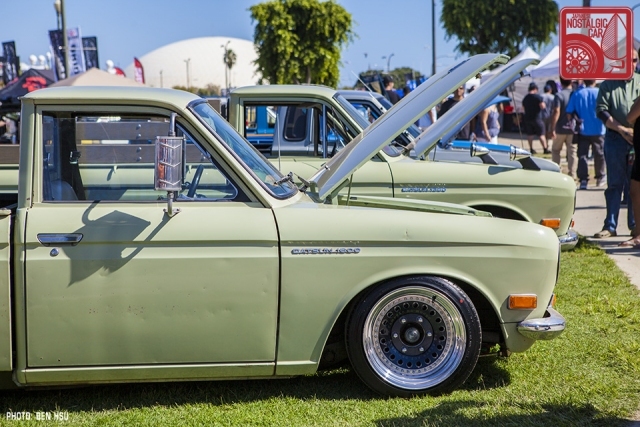 As Datsun owners are wont to do, both were heavily modified. Jason’s bore a naturally aspirated SR20 swap and was lowered on Epsilon “Campeao Do Mundo” (Best in the World) wheels while Jose’s ran a Toyota Beams 3SGE and sat on 3-piece Works. 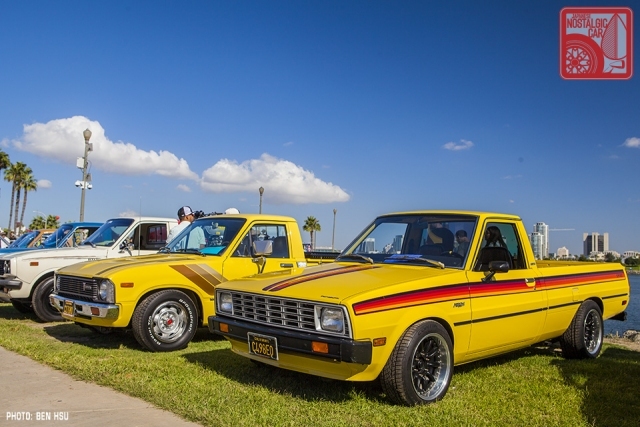 Not to be left out of the pickup lineup, Mazda was also represented with Hector Alvarez’s 1975 REPU. 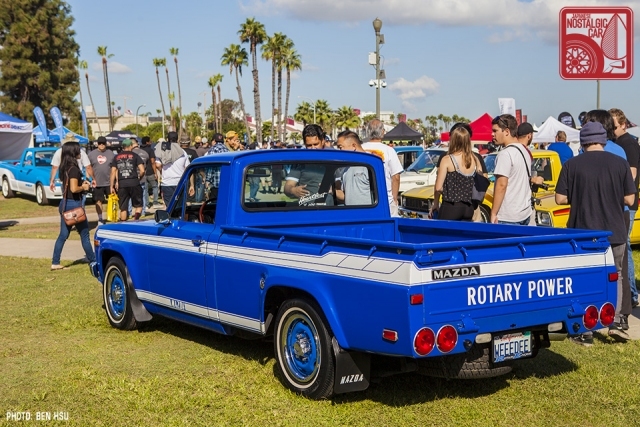 These rare machines are getting harder and harder to find, and anyone in the market for a rare and collectible truck should have the rotary engined and America-only REPU at the top of their list. 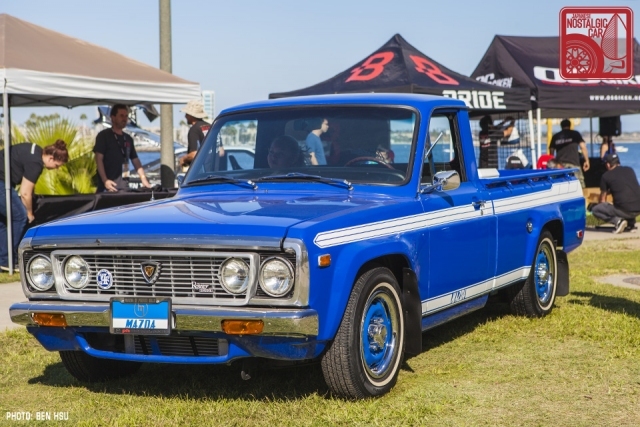 With the presence of a second-gen BRAT, the truck class was hands down the most diverse. What other category could boast both a Subaru and a Mitsubishi, in addition the standard Toyota, Datsun, and Mazda representation? With T-Tops and a giant BRAT decal on the B-pillar, it fit in perfectly with its fellow trucks, even if it was a car-cased unibody. Chris Elliott describes himself as a vintage motorcycle builder and hobbyist, and he needed a shop truck to haul his bikes in. What better vehicle could there be than a 1977 Toyota HiLux 2WD, with its vintage good looks and low loading bed? With a rebuilt 20R, a Weber carb, and 5-speed swap, it makes the ideal bike buddy. On this day it was carrying a same-era 1978 Kawasaki KZ400 Scrambler (we’ll have a motorcycles post soon). We can’t talk about Japanese nostalgic trucks without mentioning the Land Cruiser, and Matthew Tilden’s 1971 was a wonderful example of the breed. 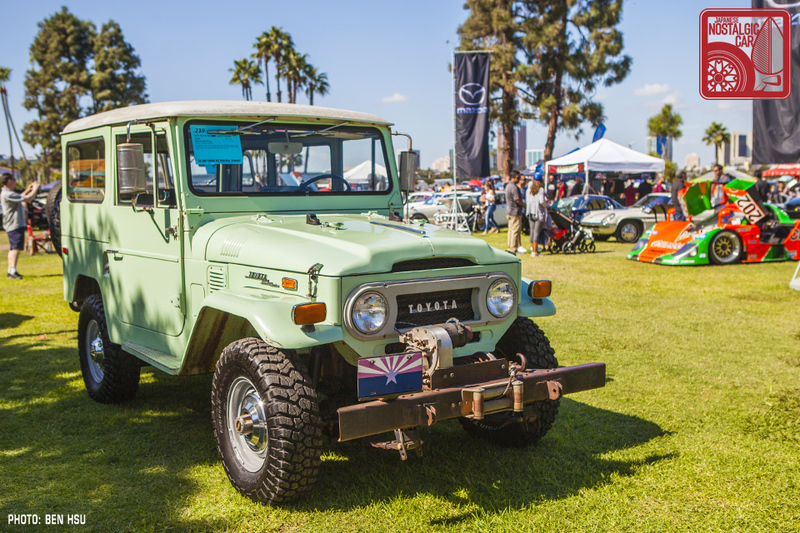 The FJ40 was a true survivor, and we’re not talking about the apocalypse (though it probably could survive that too). No, we’re talking about the fact that it Matthew purchased it from the original owner as it sits and is in fantastic unrestored condition. There is a bit of patina up close, but that simply adds to its charm. It came complete with owner’s manual, original tool kit, and a factory cans of Spring Green touch-up paint. 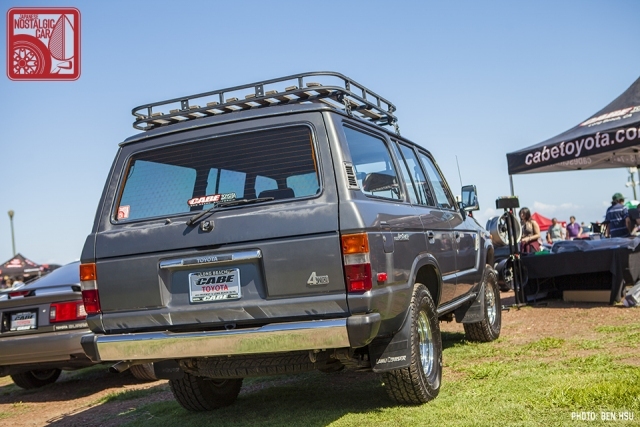 Our friends at Cabe Toyota brought out their 60-series with safari rack. 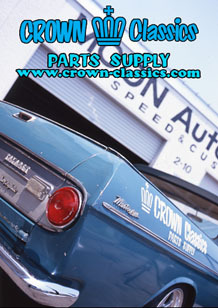 Though they do a lot of work and part-finding for Land Cruiser owners, they go out of their way to help any Toyota enthusiast with parts. 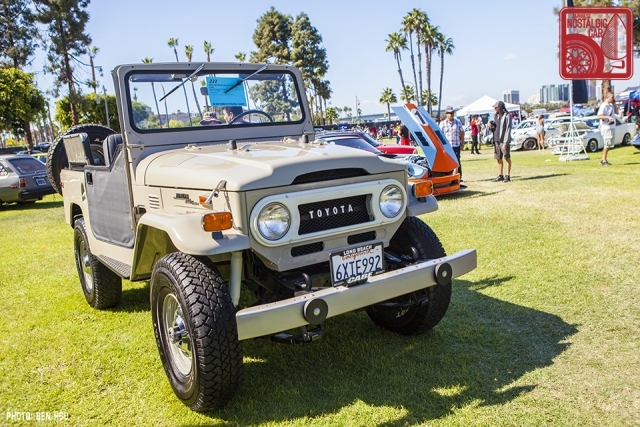 Chris Millard’s 1972 FJ40 is a former Toyotafest award winner, where it took Best in Show for its impeccable nut-and-bolt restoration. 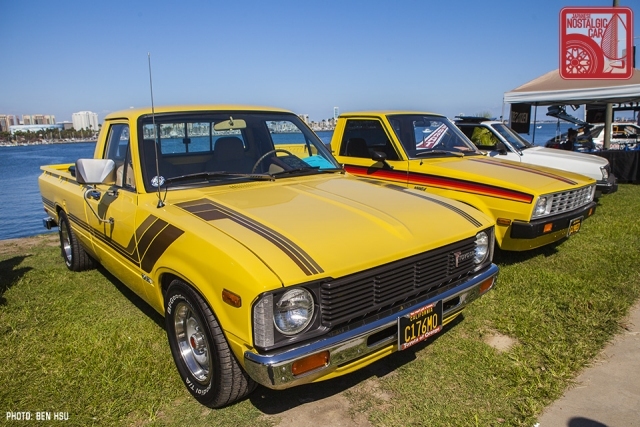 This year it’s a JCCS winner too, receiving the Best 70s Toyota award. Having seen it in person, we can testify that it is so accurate it could be used as a template for Land Cruiser replicas. 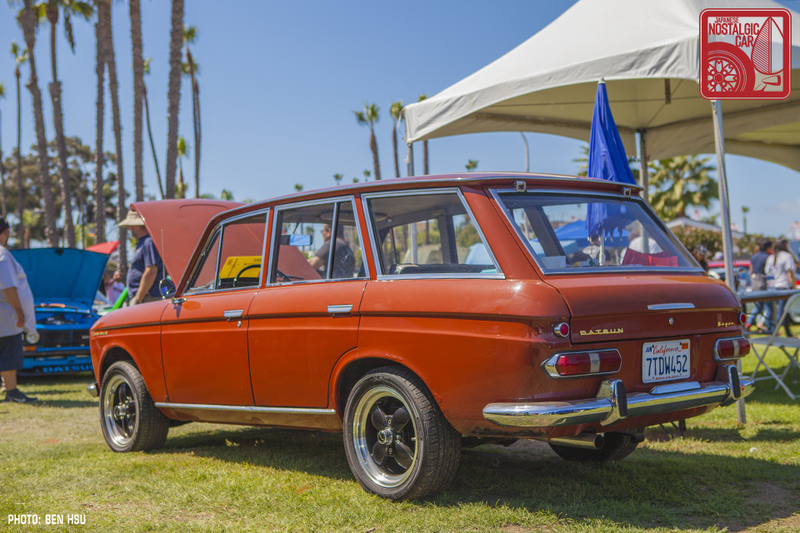 While the Datsun 411 Wagon isn’t technically a truck, they are rare for the same reasons trucks are. Used as intended, they typically don’t last 50 years in good shape. We’re glad they’re being preserved, and VTO Libre tributes highlight the early Datsun racing that would come. 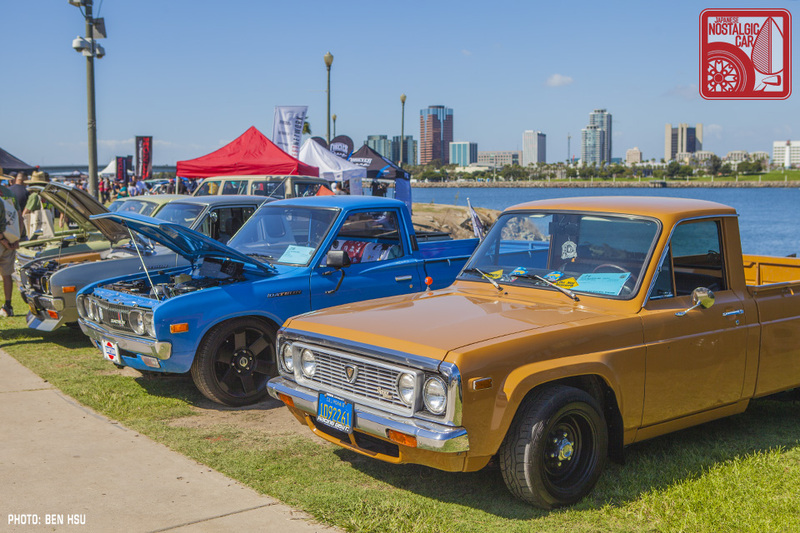 The winner of the Best Truck award went to Adam Wright for his beautiful 1974 Mazda REPU. We’ve never seen such a thorough rotary pickup restoration, and if memory serves us it’s the first time a Mazda has won the class. 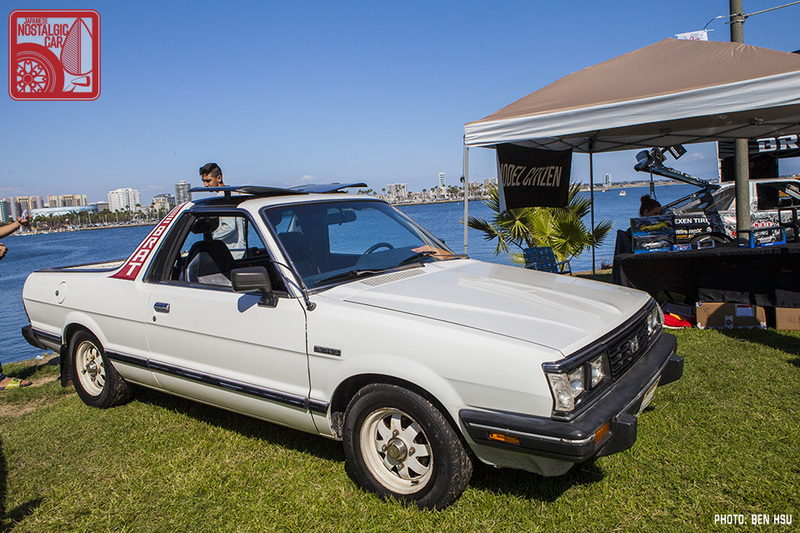 We will have more 2017 JCCS coverage coming up but in the meantime, in case you missed it, here’s Part 01 — JDM Goodness, Part 02 — Race Cars, Part 03 — Stock as a Rock, Part 04 — Shakotan Sleds, Part 05 — 80s and 90s, and Part 06 — Datsun 510s, as well as a JCCS Spotlight feature. tagged: 411, 521, brat, datsun, fj40, fj60, forte, hilux, japanese classic car show, JCCS 2017, land cruiser, mazda, mitsubishi, nissan, plymouth arrow, repu, subaru, toyota, trucks. I was waiting for this post !! So many nice trucks. Thanks to your excellent coverage (and photography) it will now be even harder for me and my son to find a REPU to restore. What a beautiful truck. Attending the show is a bucket list item. While I wait to do so I will continue to enjoy your excellent coverage. The big, old fashioned tall side mirrors are a lot of fun. The hardtop FJ, one of the 521s, and an REPU in the distance in the top photo are the only ones that have them. As I recall, a fair proportion of the REPUs were delivered with them. A dealer installed option? Nice presentation of Toyota, Mazda and Datsun trucks with a Subaru brat in between. Oops let’s not forget the Mitsubishi. For pickup I still like the Datsun 620 look. I miss the true mini or small truck. Easy to fix and customize, better leave them as thy were designed. I can only hope they return. I really miss the Isuzu SpaceCab with a short bed. Nice room small truck and with right set up could corner like a hot hatch. Great truck for the city and your wallet. Mid-sized is too much. Small or Large. Was good enough for years. “the Isuzu SpaceCab”; another one of my favorite trucks It just looked right. They came down with a souvenir from a previous record attempt with a sign that said “Jeep Parking Only”.